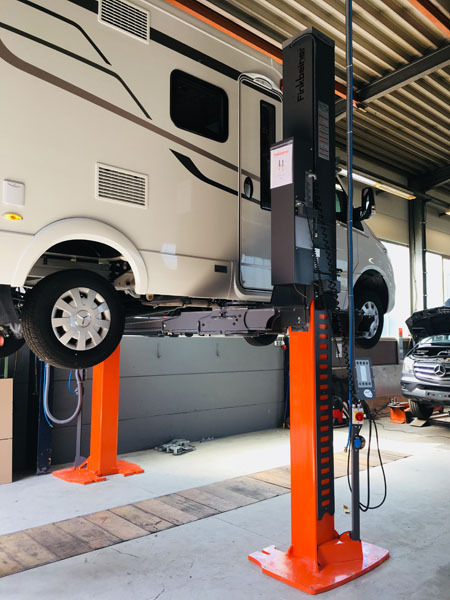 For over 30 years IGLHAUT has been one of the market leaders in converting commercial vehicles to all wheel drive capability. 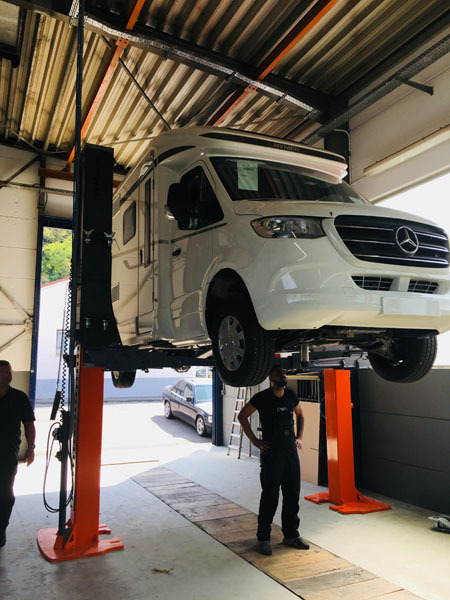 It all started in 1983 when a caterer from the Allgäu Alps wanted his Mercedes Transporter to be converted to 4WD for transporting guests to his hotel in the mountains. 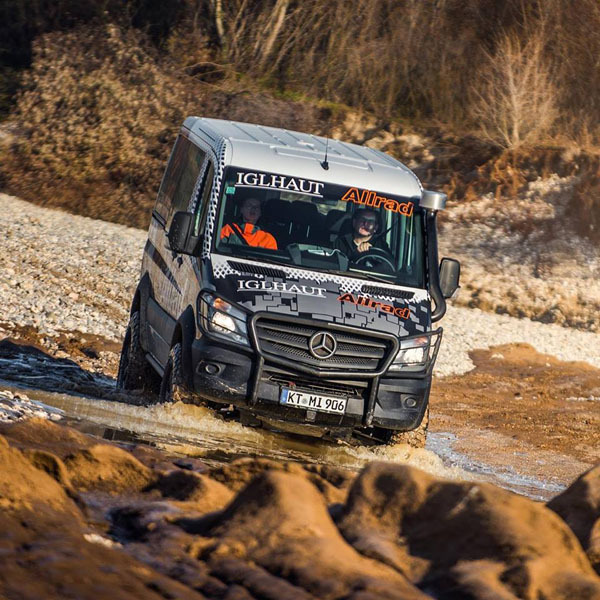 This led to the first 4WD conversion of a Mercedes Transporter and the start of an innovative all wheel drive conversion business. 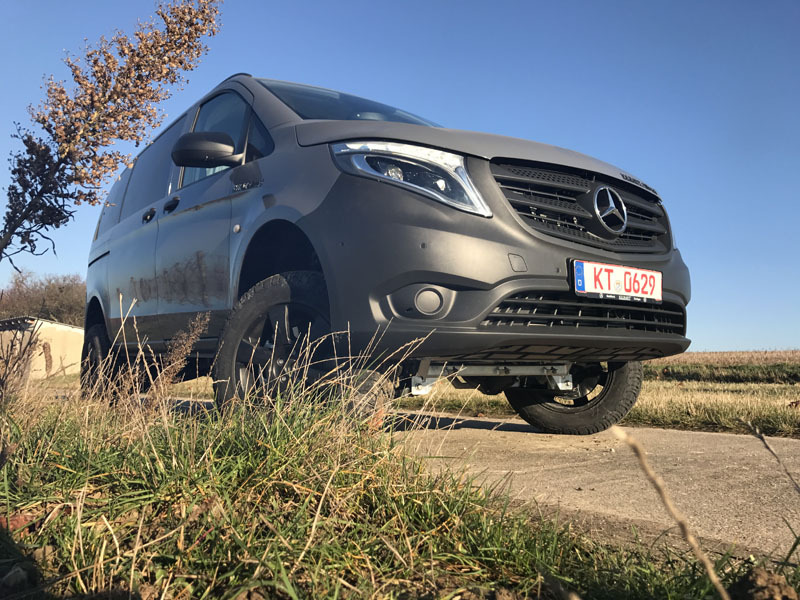 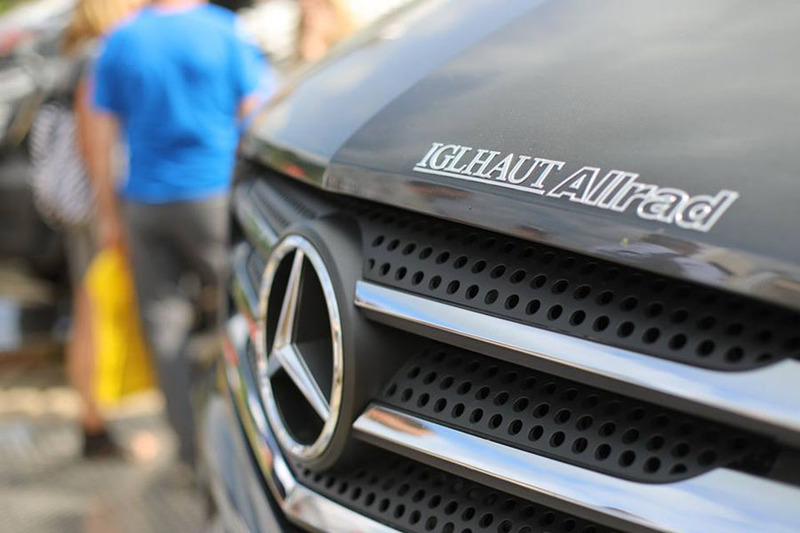 Innovation is the name of the game for Iglhaut Allrad and they recently presented a world premiere of the all wheel drive conversion of the new model Mercedes Benz Sprinter. 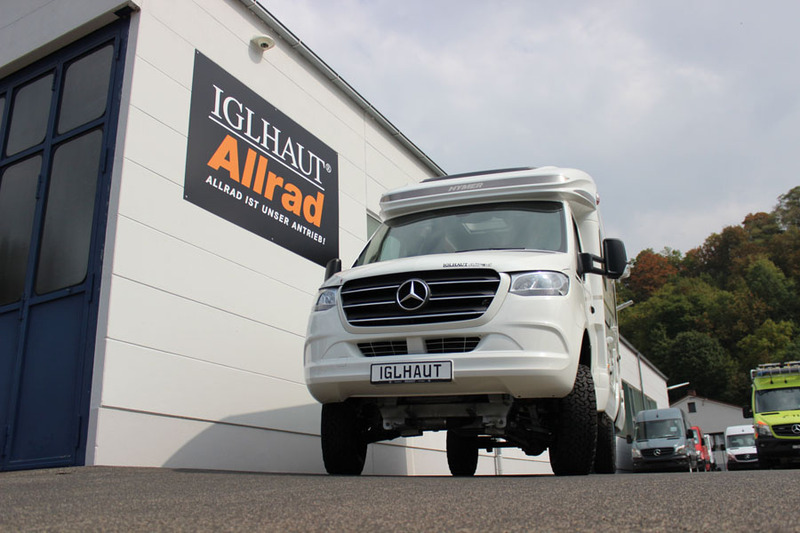 The recent unveiling of the new IGLHAUT Allrad vehicle conversions took place at the IAA Expo that was held towards the end of September in Hanover, Germany. 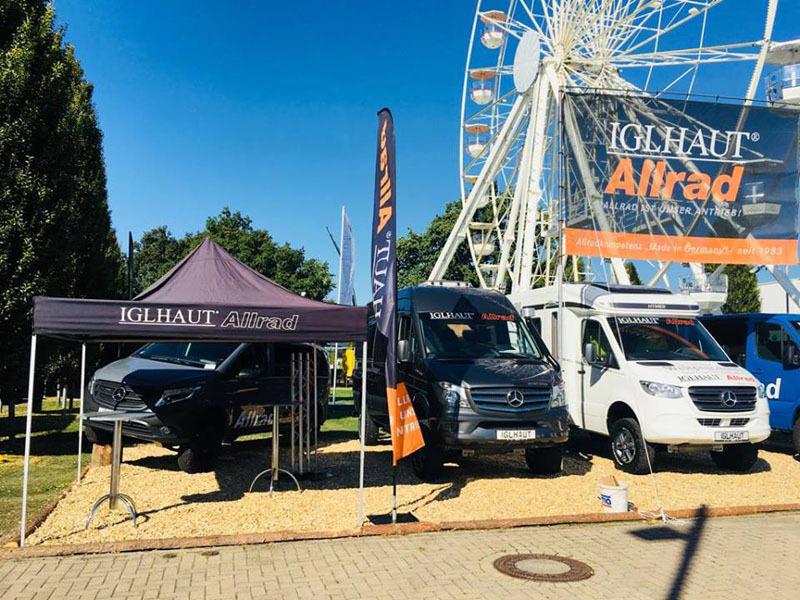 The all-wheel specialists from IGLHAUT presented four vehicles in total at the show with the highlights including the very impressive Mercedes Benz Sprinter 416 CDI and the Hymer ML 580. 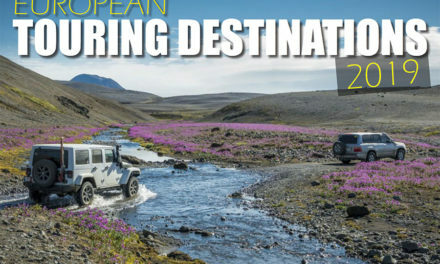 In previous years the IGLHAUT all wheel drive vehicles were not generally manufactured for the lifestyle touring market, but these vehicles are now attracting attention from more touring customers seeking tough off-road utility vehicles, designed with robust, reliable, sophisticated and durable technology that has proven itself in everyday life and is a perfect solution for a desert or off road expedition. 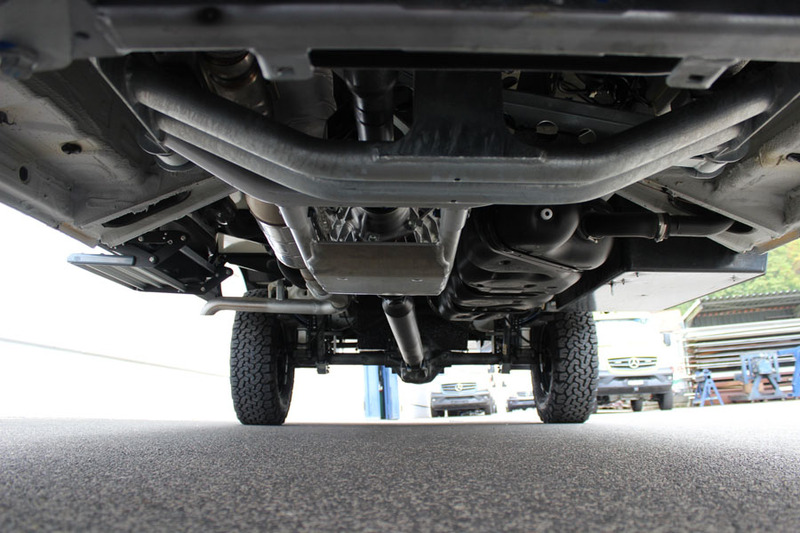 The company is constantly innovating, developing and offering all wheel drive capabilities to vehicles, through technologies that are patented and have TUV approval and certification. 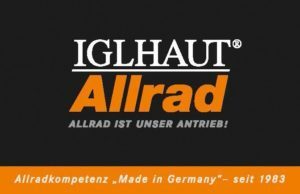 With an international reputation IGLHAUT Allrad rebuilds utility-vehicles that require drive-systems for extreme use that are both reliable and capable. 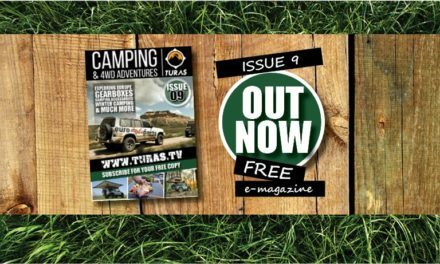 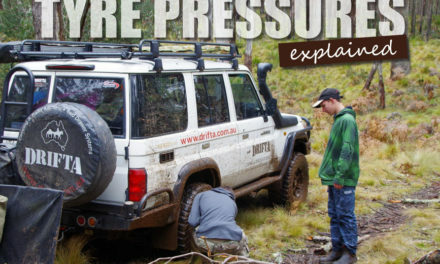 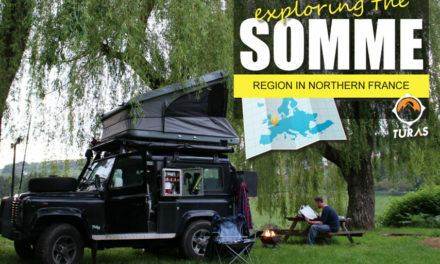 Customers come from various backgrounds that include, police forces, the medical emergency services, fire brigades, armies, energy suppliers, building and transport companies as well as hunting enthusiasts and those Globetrotters who want to rebuild and convert a leisure vehicle to 4WD. 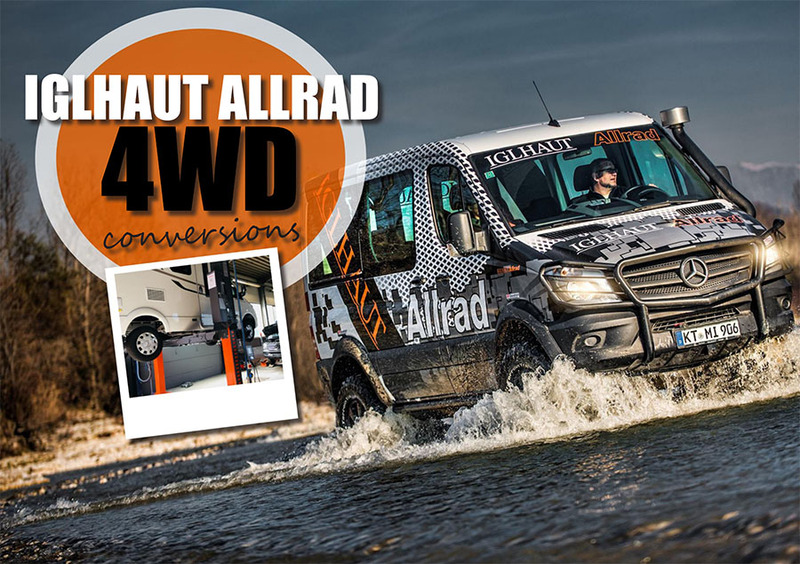 In partnership with the Hymer-centrum Sulzemoos (motorhomes), IGHAUT Allrad have in recent years been converting the very popular Hymer ML-T and the Hymer ML-I to 4WD capabilities. 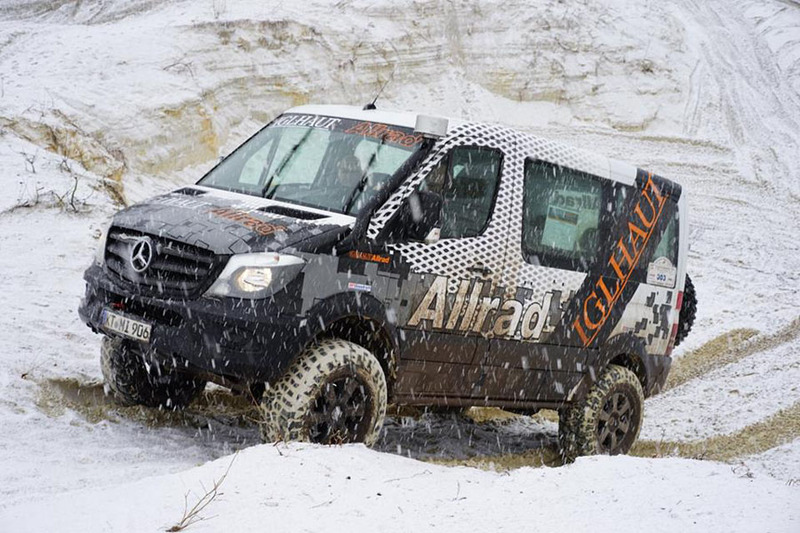 Other developments by Iglhaut Allrad includes the 4WD concept for the Vito (Transporter) and the V-Klasse (Van). 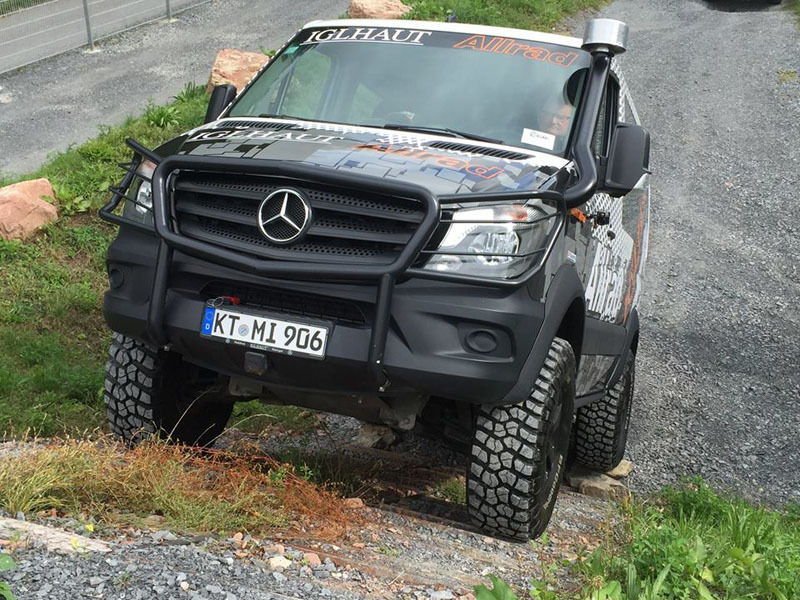 These vehicles have always been favorites amongst emergency services that include mountain rescue and fire department vehicles.If you are going to the Abenteuer & Allrad show in Germany be sure to check out their stand or you can get more information from their newly designed website by clicking below.